CRUSH IT! is a motivational text, a blueprint and guide for those who want to translate their passion into a business. 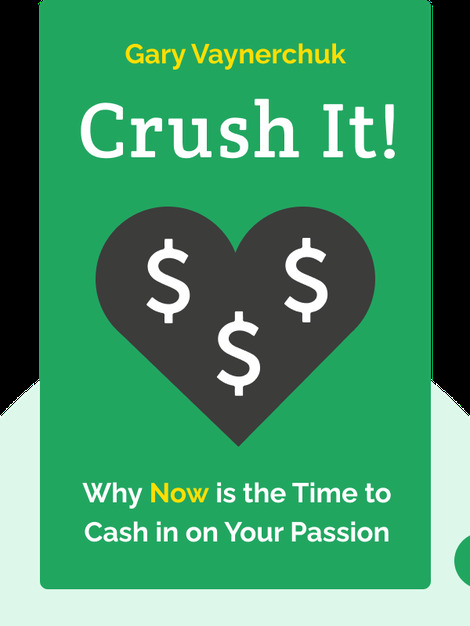 Using the author’s life as an example, this book details how everyone can “crush it,” i.e., realize the possibility of living their passion, determining their livelihood and making a living off of what they love to do. 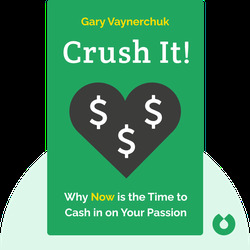 Gary Vaynerchuk is a best-selling author of titles such as Jab, Jab, Jab, Right Hook and The Thank You Economy, as well as an entrepreneur and founder of Wine Library TV, an online video blogging site that offers information and advice on everything wine-related.